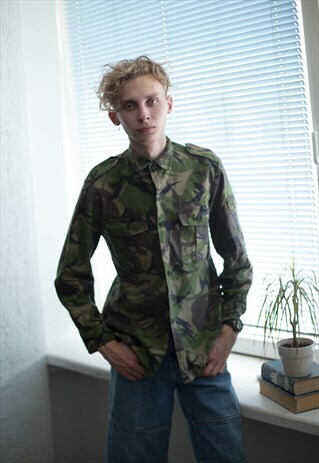 Vintage green/brown camo jacket with two chest pockets and one small pocket on the shoulder. UK size not written but looks like M/L. Model size on the photo is S. Measurements: length 28 inches, sleeve 24 inches, chest 44 inches, waist 43 inches.